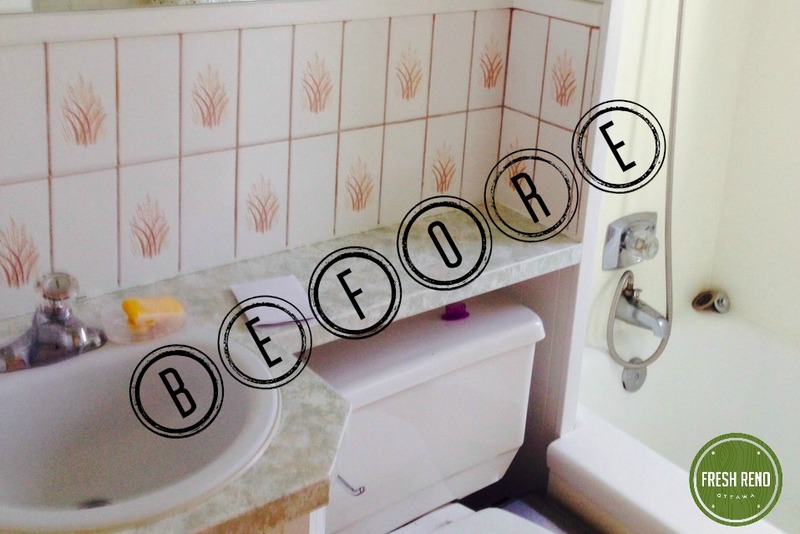 Maxine and Elena’s bathroom in their Alta Vista home is getting a complete overhaul—from its 60s vibe to modern subway tiles. 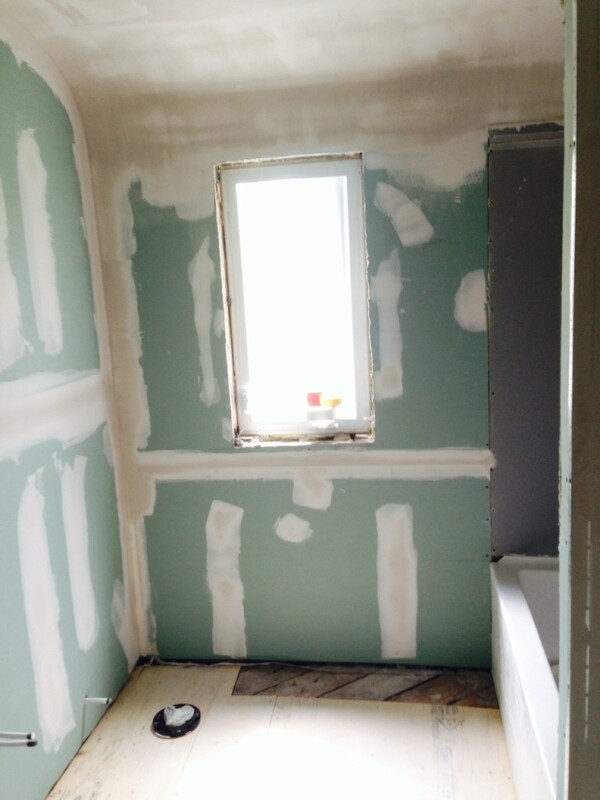 The bathroom is also getting bigger, by taking space from the closet in an adjoining room. Day 2: Bathroom demolished down to the studs. 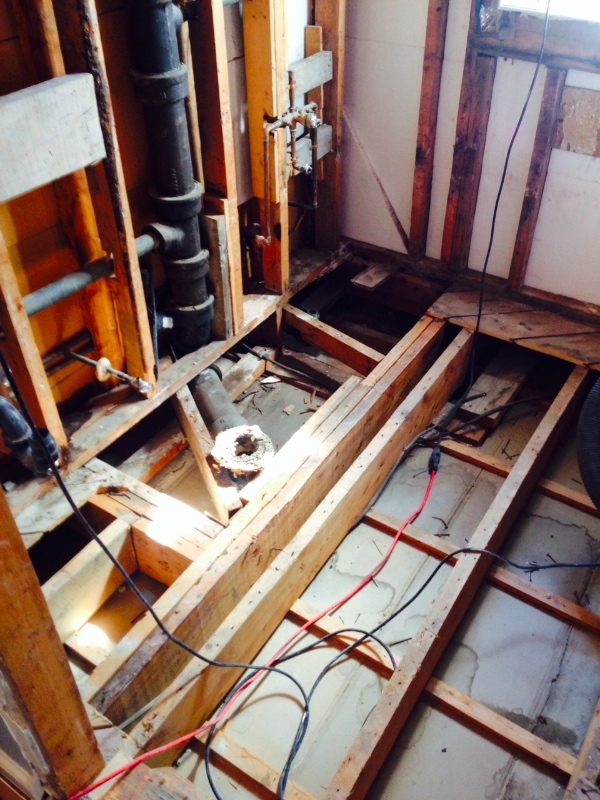 Plumbing re-routed since the new tub will be in a new location. Passed the City of Ottawa plumbing inspection. 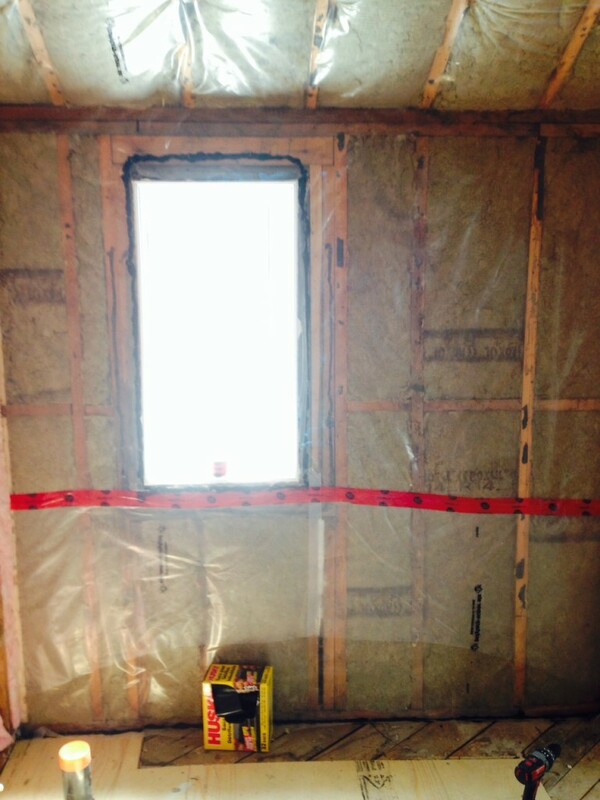 Day 4: new insulation and vapour barrier, including Accousti-Seal. Day 6: transforming sharp angles into a restful curve. Day 8: mudding the new drywall. 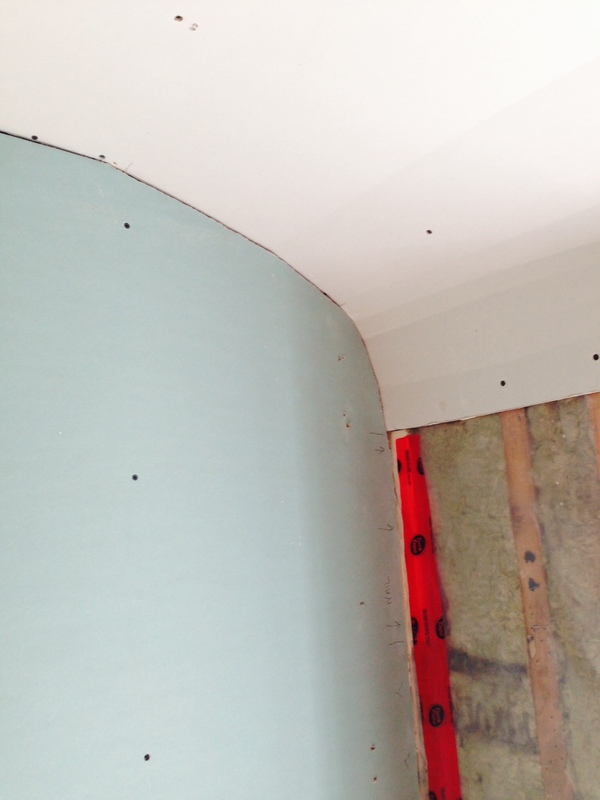 That curved ceiling is seriously smooth! 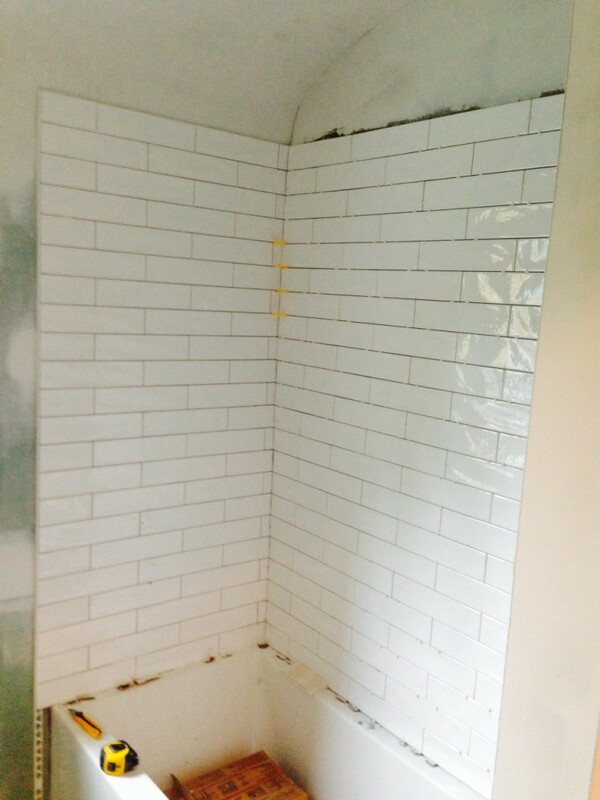 Day 10: Offset subway tiles from Astro Design Centre. 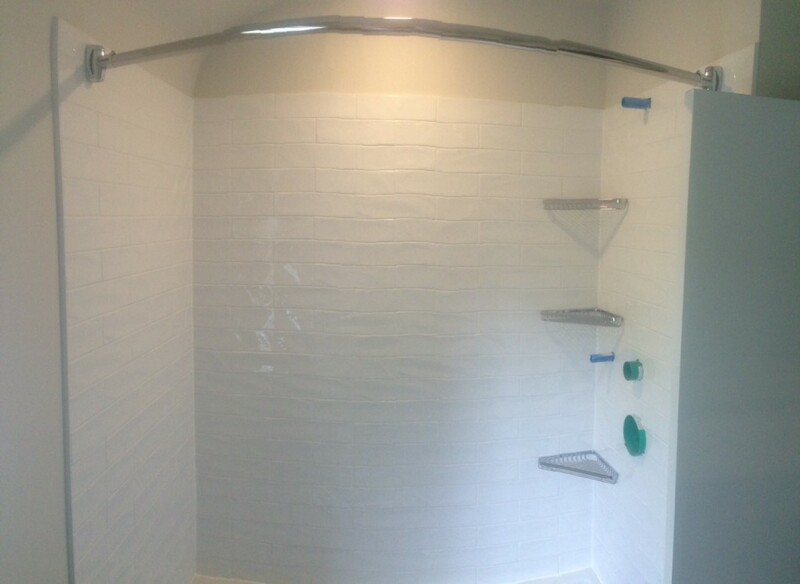 The homeowners went back and forth on whether to tile along the curve, but that would mean the tiles on the curved wall would not line up with the tiles on the straight wall, so they went with stopping the tiles before the curve. Day 11: Shower complete. 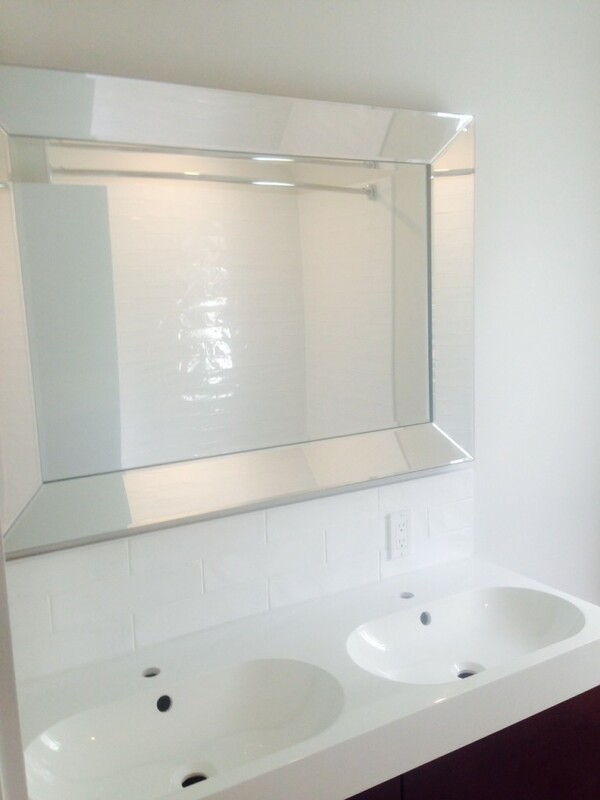 The plumber will be back to install the plumbing fixtures. Day 11. Double vanity. The plumber will be back to install the taps. This project is complete! The homeowners need to make some final choices, then we’ll post final pictures. Check back for updates.